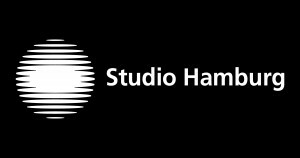 With over 35 years of experience in the film and television industry, Studio Hamburg Postproduction Company is the leading post-production company in northern Germany. On more than 4,000 square meters of production space at the Hamburg Altona (Zeisehallen), Berlin Mitte (Center) and at the headquarters in Hamburg Tonndorf work more than 30 permanent staff and highly trained employees. We offer solutions for the entire range of tasks of your postproduction. The portfolio range serves in classic postproduction services with a focus on TV about the sector film and archive services as the manual and digital restoration of film and sound recordings. Modern technologies help us to realize your requirements. Thanks to our central storage system (SAN), we can guarantee an efficient file-based workflow. And our own cloud enables the decentralized, cross-site interaction of data backup sample color correction, offline editing and the actual creative editing. Discover other fields of activity on our site and convince yourself of our individual customer service. Tammo Steinmetz ist seit Februar 2014 Geschäftsführer der Studio Hamburg Postproduction GmbH. Der Diplom-Ingenieur für Medientechnologie ist seit mehr als 10 Jahren für die Studio Hamburg Gruppe tätig, zuvor im Systemhausumfeld für die Studio Hamburg Media Consult International (MCI) GmbH. As a graduate of Hamburg Media School’s “producing” degree program, Sophia Ayissi is working at our scheduling department as an Inhouse Producer since 2019. Ulli Freyer ist eine erfahrene langjährige Postpostproduction Supervisorin für fiktionale Formate. After completing her studies of the romance languages and media, Myrna Brinkmann gained experience whilst working in several production companies and for international film and television projects. As production assistant she is supporting our postproduction supervising and inhouse producing team. Wibke Deike is our editorial department’s team leader and responsible for the scheduling of our editing-suites. By using her knowledge in show-editing and her degree in directing, she is able to support our customers and assist them in their daily work. Robert Dittrich leitet als Projektleiter den Bereich des Film- und Archivservices. Als erfahrener Medieninformatiker betreut er die Digitalisierung wertvoller Filmschätze um sie für die zukünftige Verwendung zu erhalten. As project manager, Yvonne Rabe is supervising projects with a focus on TV fiction (TV movie, serial and documentary). She is ensuring delivery of constant quality within a given timeslot. With prevision you can follow uo the current post-production status. For example, you can now check the corrected dailies, the final edited version, title or effect alternatives on the internet with our preview server. Prevision 2.0 is a technical enhancement based on user experiences and is now working completely platform independent. In addition, the video can be displayed in full screen. In order to use the program, Flash or HTML 5.0 is required. You want a demonstration of Prevision 2.0? We are constantly expanding our team of employees and freelancers, and are always interested in initiative applications. We also offer students the opportunity to spend a semester with us. With matching scope even practice-orientated diploma, bachelor’s or master’s thesis is conceivable. We also continuously develop for media designers, picture and sound.